My father decided not to emigrate because he saw no reason for it. Bulgaria was no problem. Of course they were all very optimistic because Bulgaria was, then became part of the axis. But a point that I always emphasise that very few people know, in the history of Bulgarian Jews that is one of the great stories of, of 1930s, of 1940s so the Nazi days. It was the only country in Europe with the exception of Denmark and Denmark did it differently because in Denmark they sort of kept the small Danish-Jewish population sort of hidden you might say by not wearing- I forgot what. They didn’t wear the Star of David or everyone wore them, but the fact of the matter you couldn’t very easily find them. In Bulgaria it was a small 50,000 or so Jews that had lived there for centuries. These were the- People came there after the Spanish Inquisition. The Canetti’s and people like that who spoke Ladino as well as Bulgarian, but were always part of a minority, oppressed minority like the Bulgarians because they were no Ottomans until relatively- They were not discovered again. So if there was an anti-Semitism it was of a totally different one from certainly Germany or totally from the programmes of racial Poland, which just didn’t exist in Bulgaria. And there was even a certain amount of intermarriage and not a single Bulgarian Jew died, or was sent to a, abroad to a concentration camp. Whereas all around the Balkans the Romanian Jews, the Greek Jews, Yugoslav, particularly Hungarians, you know, died by the tens of hundreds of thousands. And that was a very extraordinary story, which is totally ignored, and that is only possible when you have a decent population. You cannot do this- You can neither blame nor credit one person. Blaming Hitler for everything that went on in Germany or crediting King Boris in Bulgaria for everything that went well in, in the country. You can’t do that sort of thing unless the population culturally can accept that, or is accustomed to it. And that I think is a point that I feel very strongly about and always was very pleased about with, and proud about Bulgaria. So what then happened in Bulgaria is that after the war then the Communists moved in. The Russians moved in and therefore Bulgaria always had a wonderful relation historically with the Russians in contrast to all the other countries around there because A: they spoke a very similar language, Bulgarian and Russian. But the Russians originally liberated the Bulgarians from the Turks so they were always considered the liberators of Bulgaria, and therefore when the Russians moved in they didn’t move in the way they did in other countries. They were sort of a benign- they just moved in as Communists taking over, but otherwise it was a very benign relationship between Bulgaria and Russia. And even though it was one of the most Stalinist regimes of communist Eastern Europe it was an indigenous Stalinist regime. Zhivkov and people like that rather than imposed on them by, by the, by the Russians. So in 1947 I think plus or minus a year the Bulgarian by that time Communist government permitted all Bulgarian Jews to emigrate if they wanted to, but only to Israel. And there were some ships that literally left there and about 80% of the Jewish population of Bulgaria emigrated. The other 20 stayed there. 20% stayed there and was totally integrated. For instance until very recently let’s say the foreign minister of Bulgaria until at least the election was Jewish and many other important ones. It’s interesting that in that country even though these Jewish families lived there for hundreds of years you always could tell whether they’re Jewish or not from their name because all the Bulgarian Slavic names of course ended like Popov or Dimitrov or endings of -ov or -ef. The others were always Spanish, Alkalei Meshoulam, Canetti and so on. 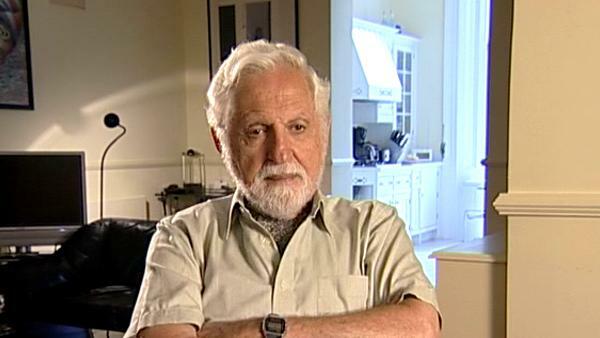 Austrian-American Carl Djerassi (1923-2015) was best known for his work on the synthesis of the steroid cortisone and then of a progesterone derivative that was the basis of the first contraceptive pill. He wrote a number of books, plays and poems, in the process inventing a new genre, 'science-in-fiction', illustrated by the novel 'Cantor's Dilemma' which explores ethics in science.